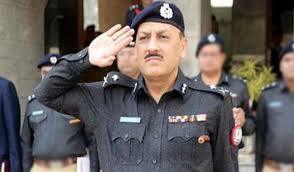 KARACHI: Sindh Inspector General of Police (IGP) Allah Dino (AD) Khowaja on Wednesday said that up to Rs 35 billion amount is required to make Karachi safe city on the pattern of Lahore. ‘On Safe City Project of Lahore, Rs 15 billion has been spent. Karachi also needs similar project. Karachi has a double population and it requires Rs 30 billion to Rs 35 billion to come at par with Lahore,’ the IGP said while speaking at a meeting with members of Korgani Association of Trade and Industry (KATI) here. Lahore city had 10,000 security cameras and a big patrolling security force equipped with modern gadgets and training. Whereas in Karachi, he said, there were only 2200 cameras, of which majority were non-functional which had been repaid. For controlling the cases of extortion through phones calls, Sindh police had acquired many locator machines, which had proved very effective. He assured that re-enforcement of police would be made for better management of traffic in the city especially in the holy month of Ramadan-ul-Mubarak. From 15th of Ramadan, on completion of their training, 3000 more police officials would join the traffic police and this would improve the situation. Earlier, traffic police strength was 2200 which had been increased to 7500. Besides the shortage of traffic police, there were other reasons for traffic congestion and jams. Many development projects were going on. Roads and streets were dug in various areas of the city. There were a lot of political activities in the city, which were increasing as the general elections were approaching. Only on May 12, three major political parties held big rallies. And, from 12 to 15 protests were being held daily in this megacity, AD Khowaja said. He regretted that there was no proper public transport system in the city except W-11 minibus route. The Inspector General informed that 26,000 police officials were inducted in Sindh police in last two years and that also purely on merit through National Testing Service (NTS) and under the supervision of Army. Rupees 550 million had been spent on their training. The services of Army instructors were also acquired. The right recruitment in the police was the basic thing to reform this very important institution. For ensuring induction strictly on merit, a recruitment board was also formed with the representation of Sindh Police, CPLC, NTC and Army, he added. IGP said that 300 bikes would be injected for 15 police response network to control street crimes in the city. When his attention was drawn to the illegal occupation of industrialists’ plots in Mehran Town in Korangi, he proposed the constitution of a joint committee to resolve this issue. The Director-General of Karachi Development Authority, the Deputy Commissioner, Karachi East, and Deputy Inspector General of Police (East) should be its members. He urged that public representatives should spare some time to sit in the Computerized Reporting Rooms set up at 85 police stations. He announced to deploy three mobile vans and police teams for patrolling in Korangi industrial area to check street crimes. KATI President Tariq Malik, Patron-in-Chief of KATI, S.M. Muneer, Senator (Retired) and senior businessman Abdul Haseeb Khan, Chairman KATI Sub-Committee on Law and Order Nadeem Khan, former president M.Zubair Chhaya spoke on law and order issues. They all praised the efforts of IGP, A.D.Khowaja for improving and maintaining better law and order situation.